There’s nothing that eats up your company’s revenue more than expenses. From the purchase of the cheapest pens to next-generation laptops and phones these costs add up. At the end of the day, your most frequent and highest expense isn’t going to be some piece of technology. Depending on where you live it will probably end up being your company’s energy bills. 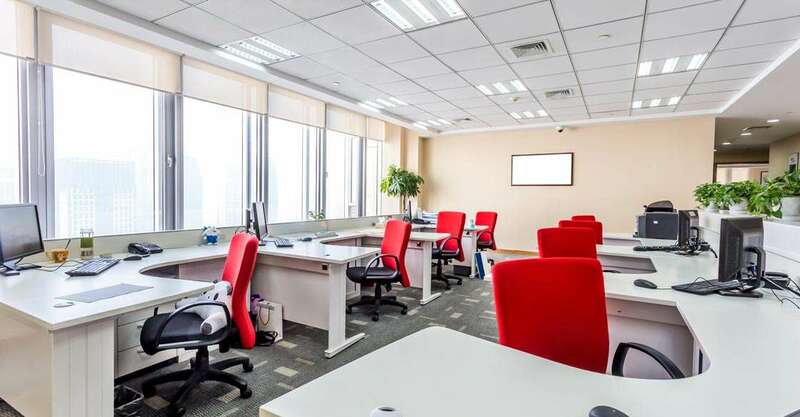 Fortunately, we have put together this small guide for you on office heating systems so you can keep your money in the company bank account where it belongs. Energy efficiency shouldn’t just be a goal, it should be a rule. You don’t need to go so far as punishing employees as not practicing it, but employers should set a good example. Take time to listen to those energy saving tips you always hear about. Keep the office heating systems temperature at certain levels during summer and winter. All electronics need to be shut off at the end of the day. That goes for everything from copiers to even laptops. You can even award the workers who are the most conscious with special incentives like gift cards to local coffee shops to really encourage them to participate well. Even if you have installed some of the latest and greatest in energy efficient appliances, your greatest enemy may not actually be the devices by your buildings. Older buildings, in particular, suffer from poor insulation or all kinds of problems. Call an energy technician come by to check on your office heating systems. Also, any secret gaps in the ceiling or walls that you may be unaware of and things like cracks between doors or windows. Remember those bright incandescent bulbs they use in movies to interrogate witnesses? They create some pretty intense heat/use a lot of energy. Even old-school fluorescents bulbs aren’t particularly efficient. Nowadays, the price of LED technology has dramatically decreased. Understanding LED technology is simple. LED use almost no energy, come in a wide variety of colors, shapes, and can be fitted towards any kind of use. Best of all, they are not only energy efficient and long-lasting, but you can actually use them to create a pleasantly lit office environment. The old adage a little prevention goes a long way is doubly true for office heating systems. During winter months they get some heavy usage and then there remain used for long blocks of time. All kinds of dust, rust, and other enemies can pile up during that time, those can be signs that your HVAC needs repair. Get a technician to come out a few times a year to make sure everything is in check. The money you’ll save both in energy cost and preventative maintenance will be worth its weight in gold. With office heating systems, it’s all about having the right attitude and the right follow-up. If you ensure that not only yourself but your staff is well aware of saving energy you will not only be during your part for the environment but also save yourself thousands of dollars per year. Now, who wouldn’t want that in their pocket?